If you’ve been itching to explore Australia’s many wonders, you may be surprised at just how many you can experience by simply stepping onto the right cruise ship. One of Australia’s favourite ships, the Sea Princess, offers a fantastic 28-night cruise all around Australia, departing Sydney and Brisbane just twice per year. It’s one of the most popular cruising events of the year, with places for 2019 already sold out, and early 2020 already down to its final cabins. Travel at 60 has secured early cabins on this eagerly-awaited voyage for October 2020, on sale to the public next week. Click here to learn more, or call us now on 1300 414 198 to pre-register. From the Great Barrier Reef to the Kimberley coast, the 2,000-passenger ship travels to multiple bucket-list destinations across Australia that will no doubt satisfy your travel itch. Here are some of the spectacular destinations you could see on the trip. Australia is home to some amazing and beautiful places but one of the coolest travel spots to visit is the Great Barrier Reef. The reef — which is located in the Coral Sea, off the coast of Queensland — is made up of 3,000 individual reef systems, gorgeous tropical islands and stunning golden beaches, and is the world’s biggest single structure made by living organisms. However, the future of this global icon is far from certain, so if you’ve always wanted to visit, now is a pretty good time to do so. If you’ve always wanted to visit the Kimberley coast, now is your chance! This wild and ancient land is one of the most remote and sparsely populated places on the planet – and one of the most ruggedly beautiful. When you think of this corner of Western Australia, images of ochre-red landscapes and ancient Aboriginal rock-art sites might immediately spring to mind. Western Australia is full of hidden gems, and the Margaret River is one of them. The region is known around the globe for its top quality wines and food, not to mention its spectacular scenery, rugged coastline and picturesque beaches. Once considered a sleepy town, Hobart, the capital city of Tasmania, is increasingly becoming popular with Australian and international tourists. Known for its history, food and natural beauty, whatever your interests, this up and coming city has something for everyone. 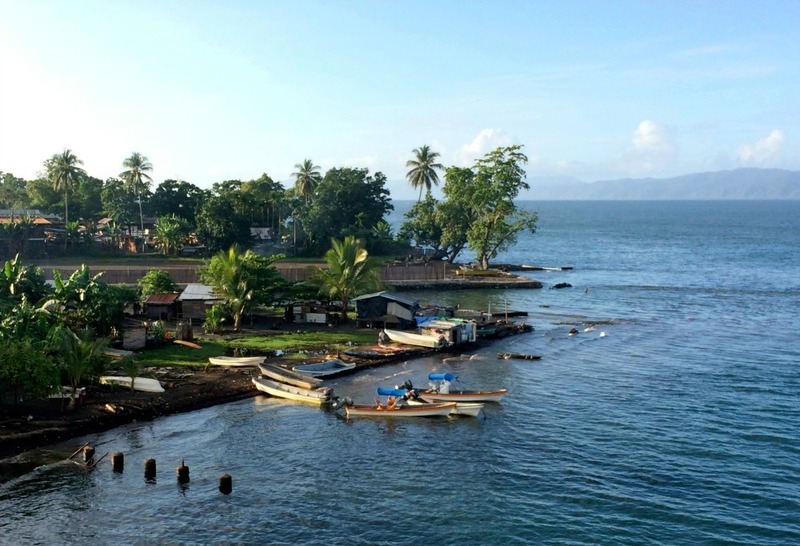 The Round Australia cruise even offers a little time in Papua New Guinea. Made up of white sand beaches, crystal waterfalls and volcanic mountains, Alotau offers an excellent introduction to Papua New Guinea. And if you’re one for history, the region is best known as being the site for the Battle of Milne Bay, where Japanese forces suffered their first loss in World War II. This port city, 30 minutes from the centre of Perth, is steeped in the history of Australia’s convict past. Hear “sordid and ghastly stories” on a torchlight tour of the old Fremantle Prison at night, visit the Maritime Museum and Shipwreck Galleries or take a stroll through the Fremantle Markets. Ready to take this incredible voyage for yourself? Click here to learn more, or call us now on 1300 414 198 to pre-register ahead of next week’s sale. Allocations are given on a first-come-first-served basis, so get in quick! Which of these beautiful locations is next on your bucket list?